We hope you take time to look through and enjoy our Special Edition: 2016 Holiday Gift Guide featuring our Surf Industry Coastal Defenders. The Surf Industry Coastal Defenders program is a collection of thought leaders who have aligned to fortify Surfrider Foundation's mission to protect and enjoy our ocean, waves and beaches. This new program gives surf industry companies the opportunity to give back to the place where they work and play. We share a love of sea and surf and have a stake in preserving them. Surfrider Foundation extends our gratitude to our surf industry partners for their contributions that make our impact for our coasts and ocean possible! Billabong has been a partner of Surfrider for over a decade and has a proud history in the development of innovative and functional boardsports products. An example of Billabong's move towards the development of environment-conscious apparel solutions was the Recycler boardshort collaboration series, made from old plastic soda bottles. See what they are up to now! Dragon is a premium eyewear manufacturer with a deep heritage in the action sports. The brand is recognized as a youth, lifestyle brand that appeals to the action sports core. Dragon has a world class team of athletes which help inspire the technology for a range of products including sunglasses, snow goggles, motorsport goggles and more. Check out Dragon's collection! Electric is a premium eyewear brand rooted in Southern California¹s rich music, art, surfing, skateboarding, snowboarding, outdoor, and customization culture. Electric offers an extensive line of sunglasses designed and tested to be used at the beach, on the water, or in the mountains. We are thrilled to announce that Surfrider and Electric will launch a unique product initiative geared towards driving awareness and resources to aid in Surfrider¹s ongoing protection of our ocean and beaches. A portion of the proceeds from any pair of Electric sunglasses featuring the Blue Flash OHM lens sold in 2017 will go back to support Surfrider's national chapter network. Firewire is committed to the challenge of greener surfboard production and reducing the industry's footprint. The TimberTEK technology demonstrates game-changing innovation with top performance. Firewire supports the Surfrider Foundation’s ongoing initiatives and activations with a portion of proceeds donated from sales of our collaboration TimberTEK ADDVance surfboard model. Learn about the board and where to shop! We welcome Reef as a new SICD member! 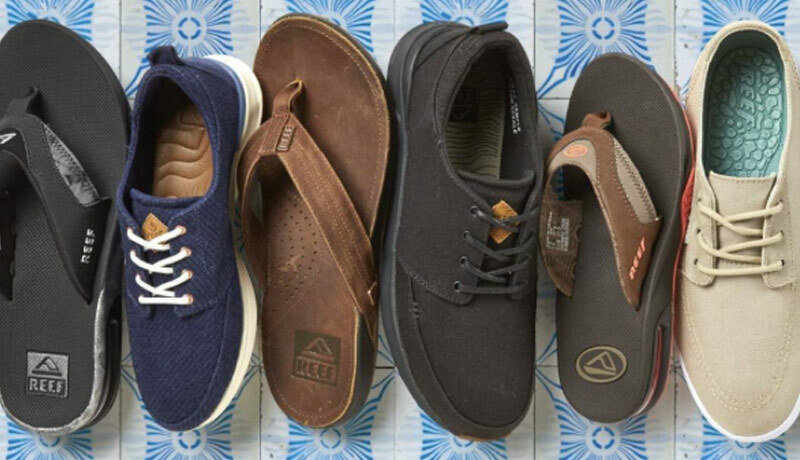 Reef's 30-year heritage was born from a love of surf and beach culture and a vision to create a high-quality active lifestyle sandal. Reef is a thirving, global surf lifestyle brand that lives by the 'Just Passing Through' mentality of surf adventure. They draw on the spirit of the global traveler and combine it with function and fashion for life on the road. Check out Reef's collection! We welcome Roark, a recognized up + coming break out brand, as a new SICD member! Roark is a return to bold adventurism through the eyes of an idealized character. Each collection is inspired by the destinations images, thoughts, people, trinkets and local textiles that are collected along the course of Roark’s seasonal trip. Their spirit of adventure is contagious and there is a unique style that breathes a need for travel and adventure through their designs. Check out Roark's collection! TEN is a premier transmedia network of enthusiast brands delivering authentic and transformative content. TEN inspires enthusiasts to pursue their passions. For $25, you can receive a Surfrider one-year individual membership AND free annual subscription to Surfer Magazine! Your donation supports our network of volunteers who fulfill our mission for today, tomorrow and generations to come. Sign up for your membership and subscription today! Volcom has been steadily integrating sustainability into the company DNA since the early days. Their commitment to this core value and Surfrider is reaching new heights this holiday season! For every online purchase over $100 Volcom customers receive a free one-year individual gift Surfrider Foundation membership! Plus for every share on social media customers are entered to win a $1000 shopping sweepstakes. Start shopping and share on social to earn your membership and enter the sweepstakes! Vissla represents a generation of creators & innovators. Vissla is excited to help lead in advancement towards enviro-friendly high performance wetsuits, including the new Eco Seas, developed with Naturalprene natural rubber, Aqua-A water-based glue, and an upcycled jersey made from recycled plastic bottles. Each online purchase of a Eco Seas wetsuit includes a free one-year individual Surfrider membership! Learn more about Vissla's latest creation & innovation and gear up for the season! 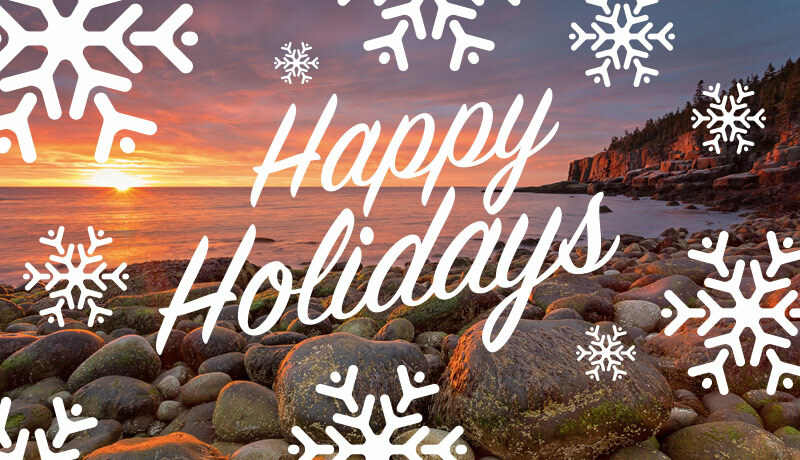 Give the gift of healthy and protected coasts! Holiday gift packages include a Surfrider Foundation annual membership and a gift card to the Surfrider Shop. Additional packages include a Long Live the Beach Klean Kanteen coffee mug, a Patagonia backpack or a Samudra clutch. Find out more!